Show Employees You're Noticing Them with Salesperson Awards! One of the most affordable ways to motivate your sales force is with engraved salesperson awards in Los Angeles. Of course, employees love the increase in pay that generally accompanies an increase in sales, but due to the competitive nature of salespeople, pay is not the only thing that motivates these skilled workers. When your sales team is battling it out for recognition as tops in the department, you can get more sales out of your workers than any salary increase can achieve. This is why we recommend salesperson awards. 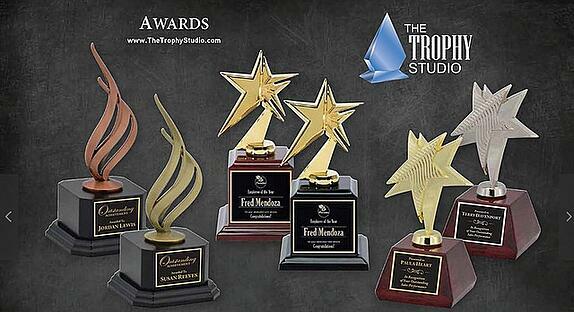 Fortunately, The Trophy Studio, the trophy division of The Sign Studio, is one of the top suppliers of these awards in the Los Angeles area. Today, we will look at how you can institute a Salesperson of the Month program and the different types of trophies available to you. Personal Recognition – To make it simple for the salesperson to regularly view their award, it should be designed for easy display. This will remind them that they are valued every time they gaze upon their trophy. Plus, they will want to repeat the feeling of when they first received the recognition. Significant Other Support – For many of your salespeople, there is a significant other at home who has to pick up extra household duties to make up for the long hours put in by your employees. A little bit of appreciation for these unsung heroes can go a long way in your workers’ continued efforts to go above and beyond. Public Recognition – So that everyone in the sales force and organization as a whole knows who the top salesperson is, all awards should be presented in a group setting. There should also be a perpetual plaque in a public area that will list the names of the monthly or yearly winners. This will give everyone something to strive for. Glass – We have glass awards in many different shapes, such as diamond, star, column, sail, flame, and more. There are also numerous sizes from large 15” by 7” pieces to small 5” by 3” awards. Plaques – Whether you install them in a prominent place in your lobby or hand them out as awards, plaques are a great way to show recognition. Crystal – You have to go with crystal when only the best will do. We use sophisticated lined presentation boxes to deliver our crystal awards in. The Eclipse is the most popular crystal trophy. It comes in black, amber, and blue. This is ideal for Salesperson of the Year awards. 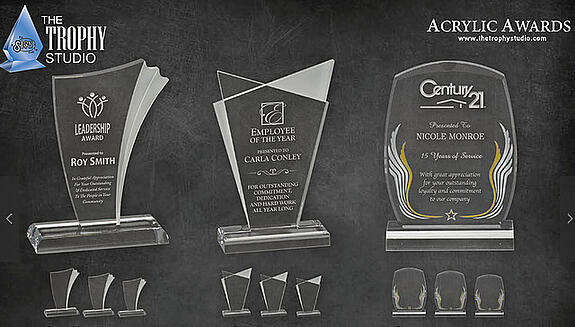 Acrylic – Due to the versatility of acrylic, we can make some outstanding awards. In addition, this material is usually less expensive than crystal and glass while virtually indistinguishable from these other solutions. 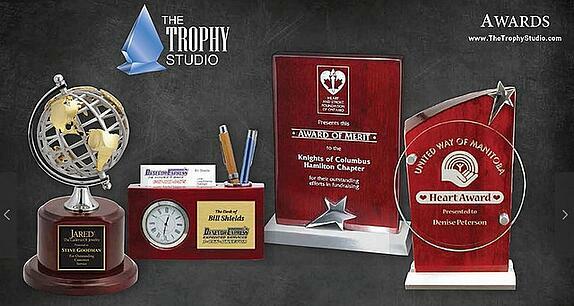 If you are ready to buy engraved salesperson awards online, check out The Trophy Studio today.